Is it safe to raise the speed limits in Florida? Florida’s lawmakers are considering increasing some of the speed limits in the state to 75 mph – a measure that critics say could result in an additional 100 car accident fatalities every year on the state’s highways. Although the proposal seeks to raise the existing speed limit by only 5 mph, safety groups argue that this would make Florida’s roads far less safe. Some Boca Raton residents may currently drive about 75 mph on the highways. 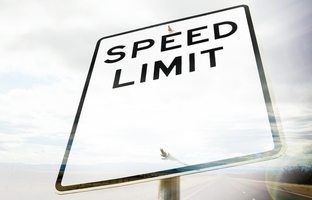 Some drivers routinely travel 5 miles per hour over the posted speed limits. So, if the speed limit is increased to 75 mph, the number of drivers cruising along at 80 or even 85 mph will surely increase. This is very concerning, because as the speed of a vehicle increases, so does the risk of being involved in a crash. Many drivers believe that they can drive safely at high speeds, but driving faster increases stopping distance, lessens one’s control of a vehicle, and results in harder impacts in collisions. It has been estimated that a vehicle traveling at 75 mph will travel about 220 feet in the time it takes to respond to an issue and begin to brake. Members of the Consumer Federation of the Southeast and the National Safety Council, as well as the Wakulla County Sheriff, have voiced concerns about increasing the speed limits in Florida. The proposal asks the Florida Department of Transportation to determine whether it would be safe to increase the speed limits by 5 miles per hour on various roads. If so, DOT could increase the speed limits on certain highways and roads to 65, 70 and 75 mph. The speed limits were last studied in Florida in the mid-1990s, at which time 70 mph was determined to be a safe maximum speed limit. Hopefully, no decisions will be made on this proposal without adequate study. The National Highway Traffic Safety Administration recently reported that speed-related traffic fatalities are on the rise in Florida. According to AAA, about one-third of the fatal car accidents that take place in the U.S. are linked to speeding.